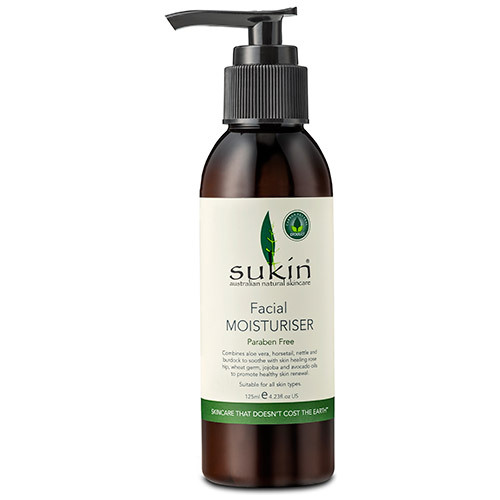 Sukin`s best selling facial moisturiser is a household favourite and for good reason. This daily moisturiser provides fast absorbing, deeply penetrating hydration that softens and soothes skin. 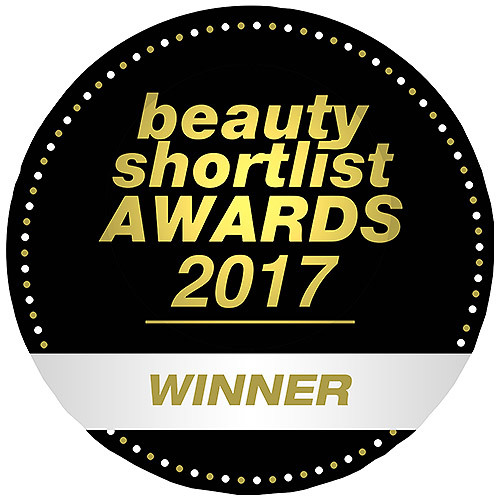 A lightweight cream which combines a delicate infusion of aloe vera, horsetail, nettle and burdock to soothe skin with rose hip, wheat germ, jojoba and avocado oil to promote healthy skin. Aqua, Aloe Barbadensis Leaf Juice, Sesamum Indicum (Sesame) Seed Oil, Cetearyl Alcohol, Cetyl Alcohol, Glycerin, Ceteareth-20, Rosa Canina Fruit Oil (Rose Hip), Theobroma Cacao (Cocoa) Butter, Butyrospermum Parkii (Shea) Butter, Simmondsia Chinensis (Jojoba) Seed Oil, Persea Gratissima (Avocado) Oil, Triticum Vulgare (Wheat) Germ Oil, Tocopherol (Vitamin E), Equisetum Arvense Extract (Horsetail), Arctium Lappa (Burdock) Extract , Urtica Dioica Extract (Nettle), Phenoxyethanol, Benzyl Alcohol, Citrus Tangerina (Tangerine) Peel Oil, Citrus Nobilis (Mandarin Orange) Peel Oil, Lavandula Angustifolia (Lavender) Oil, Vanillin, Vanilla Planifolia Fruit Extract, Citrus Paradisi (Grapefruit) Seed Extract, Linalool*, Limonene*, Citric Acid. 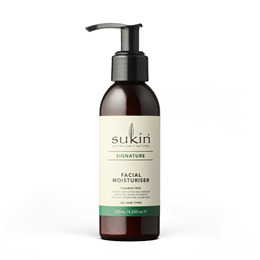 Below are reviews of Sukin Facial Moisturiser - Pump - 125ml by bodykind customers. If you have tried this product we'd love to hear what you think so please leave a review. Great for post shave application. Great smell & leaves skin feeling smoooooth. Another lovely Sukin Product. Extremely refreshing for the skin. I use it all the time. Excellent for very sensitive skin. Lovely texture and absorbs really well. Smells lovely, really nice reasonably priced product. I would definitely buy again. I use this every single night after I have taken off my make-up. It sinks in through the night and you wake up with soft skin. Its perfect!